With winter ending, many of our seasonal residents will be leaving soon. Properly preparing your home before you leave can alleviate problems when you return. Taking these precautionary measures now will prevent frustration later. Before preparing to leave, do you have your papers organized and easily accessible when needed? Understand your insurance information and update if needed. Include necessary riders if you have a special collection or other valuable items in the home. Make a household inventory and include items in the garage or shed. A key point is to leave your home clean and dry. Clean all kitchen appliances inside and out. Do not forget to clean the crumb tray of toaster. Dispose of opened packages of food. Store flour, sugar and salt in sealed containers. Do not store in plastic bags. Unopened cans or jars can be stored on shelves or in the pantry. For the bathroom, clean all surfaces and fixtures. Cover toilet and tank with plastic wrap. Put stoppers in all drains throughout the entire home. Cover stoppers with painters tape to prevent pests from crawling up the drain. The biggest potential damage to your home is heat and humidity. Managing heat and humidity can prevent mold and mildew. Humidity is the amount of water vapor or moisture in the air. Moisture inside of the home can lead to mold and mildew. Indoor sources of mold can come from breathing, bathing, cooking, cleaning, and plants. To keep moisture out, close dampers and vents, remove plants, seal toilets and drains. Check for leaks with faucets, drains, the roof, and windows. Central air conditioning is the least expensive way to control humidity. Make sure to check for problems and have your unit serviced regularly. If you have a timer on your unit, operate for 2 hours per day between the hours of 12 a.m. and 6 a.m. 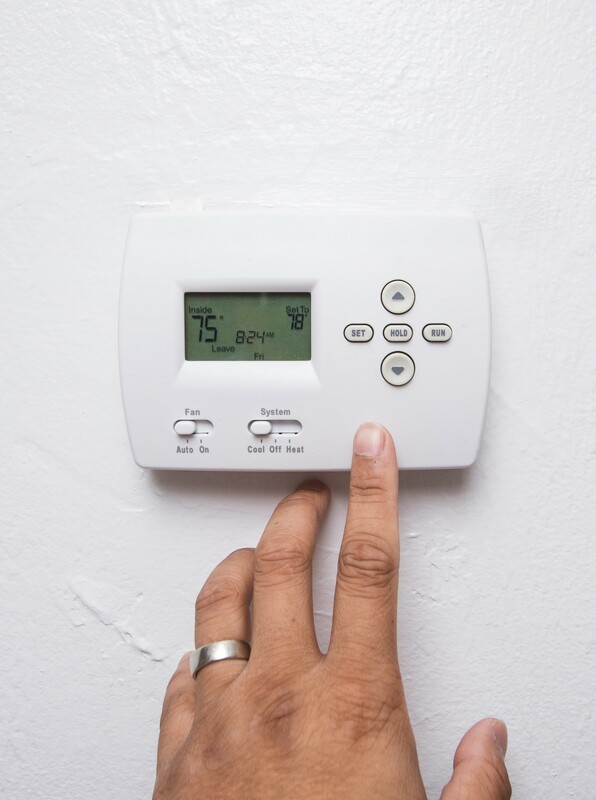 If you do not have a timer, then set your thermostat to 80-85°F. A humidistat would be a great addition to your central air conditioner. When a set level of humidity is reached, the humidistat will turn on the A/C unit. Try to aim for relative humidity that is less than 60%. This is an energy efficient way of controlling humidity and your A/C. This can potentially save you quite a bit of money on your electric bill. Always have a professional install and calibrate humidistat. For the outside of your home, examine the roof and exterior. Clean the gutters and downspouts. Check your roof for loose and missing shingles. Also, make the necessary preparations for storms and other disasters. Remember to remove potential flying objects from around the home. Try to discourage the interest of burglars. Do not announce that you are leaving town. Consider installing a home security system or lights that are on a timer. Stop the newspaper and forward all mail to your primary residence. You want your home to look as lived in as possible. For additional information regarding closing your seasonal home, visit Closing Your Seasonal Home. Great article! Didn’t know heat and humidity in the house was such a huge factor in mold and mildew growth within the home.